India approved a proposal on Wednesday to set up a ministerial panel to speed up consolidation of state-run banks as part of its efforts to revive credit and economic growth. 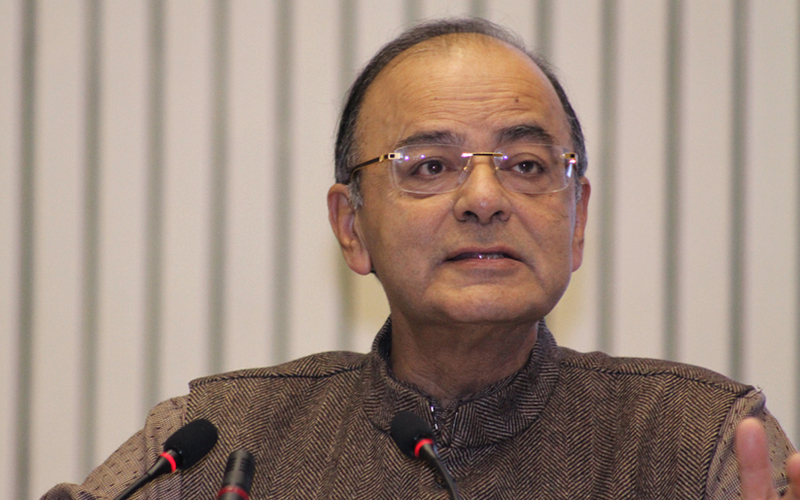 Prime Minister Narendra Modi will name the members of the panel, which will oversee proposals for mergers from the boards of the banks, Finance Minister Arun Jaitley said after a meeting of the federal cabinet. New Delhi owns majority stakes in 21 lenders, which account for more than two-thirds of banking assets in Asia's third-biggest economy. But these banks also account for the lion's share of more than $150 billion in sour assets plaguing the sector, and need billions of dollars in new capital in the next two years to meet global Basel III capital norms. Banking sector reforms are a major plank of Modi's administration to revive credit growth, which has slowed to multi-decade lows as banks struggle with bad loans. After top lender State Bank of India merged with its five subsidiary banks and also took over a niche state-run lender for women earlier this year, officials have said that more deals are being planned. "The object is to create strong banks," Jaitley told reporters, adding decisions would be solely based on "commercial considerations". The minister also said the onus of initiating such merger proposals would be on the boards of the banks. Local ratings agency CRISIL, a unit of Standard & Poor's, said the new mechanism was an important first step towards kick-starting the consolidation process. While analysts and investors have hailed the government's plan to have fewer but nimbler banks, they are sceptical of the benefits of merging two or more weak banks or a weak bank with a stronger bank that could strain the stronger entity. Bank employee unions have also opposed merger proposals over concerns they could lead to job losses. A million bank workers observed a one-day strike on Tuesday opposing bank mergers. Nine of the 21 state-run banks reported a net loss for the last financial year ended March. Thirteen had posted losses the previous financial year. Non-performing loans in the state banking sector have more than doubled in the past two years and were 12.5 percent of their total loans at the end of March. Including restructured loans, total stressed assets were more than 15 percent, central bank data shows. State-run banks as a group had a negative return on assets at the end of March, the central bank said. State lenders' shares rose after the cabinet approval with the Nifty state bank index closing 2.1 percent higher in the Mumbai market that gained 0.9 percent. Punjab National Bank, the second-biggest government-owned lender by assets, gained 3.4 percent, while No.3 Bank of Baroda added 1.2 percent. Canara Bank rose 2.9 percent.